The Cayin iDAP-6 is priced at $799 and is the last in the trilogy of their ‘i-series’ desktop components primarily targeted for headphone users. I say last because shooting for a stack of four components, small as they may be, might prove otherwise physically unstable. I really can’t see it getting much taller than it already is. I am digressing though. What you do need to know is that the iDAP-6 fills a bit of a feature gap from the previous iDAC-6 and iHA-6 combo. This silver aluminum box basically drags the entire system, kicking and screaming, into the ‘here and now’ in terms of streaming and digital audio. Cloud, network, wireless; all are terms that are hot, highly desirable (unless you are an analog devotee) and thoroughly relevant for the modern world. 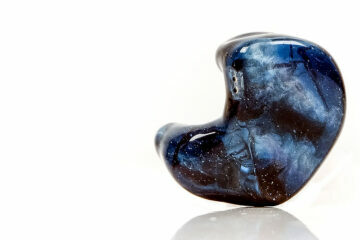 Cayin did not have this, well not for headphone lovers and desktop solutions. They do now. Question is, does the iDAP-6 match up to what we think we want. Does it deliver the goods and is it worth the price? The iDAP-6 is a multi-format desktop digital transport designed to complement but not exclusively sit alongside the Cayin iDAC-6/iHA-6. In both form and function, it is aesthetically harmonious with both of these components and you can place it on top for a triple stack. In Cayin’s pitch, this makes the i-Series desktop complete in terms of modern-day streaming functionality. 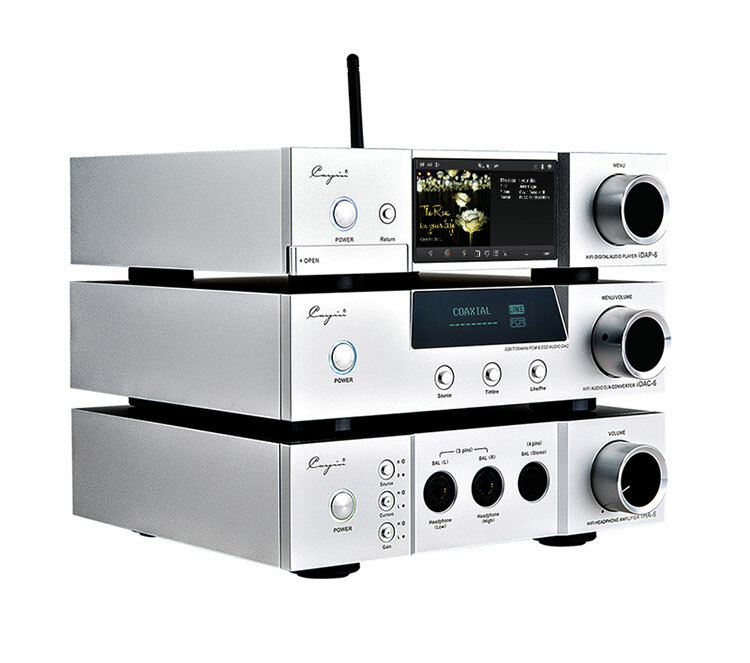 It will also not just appeal to those with existing Cayin components but to anyone with a good DAC and amp/system who want to tap into wireless and remote storage digital audio capabilities. Push a digital signal through an array of traditional wired digital outputs to any DAC of your choice via USB, coaxial and optical. 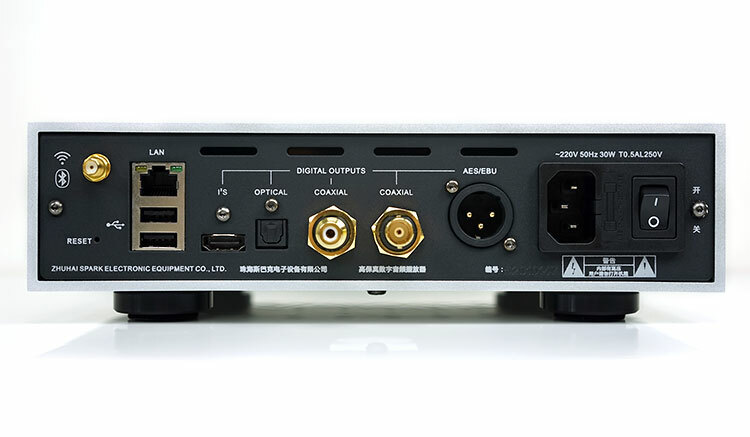 Push a digital signal through professional standards such as AES/EBU, BNC and the newer I2S HDMI output function to compatible DACs for decoding to amps. Pulling digital audio files from an OTG source such as a flash disk directly connected to the iDAP-6 and transmitting them directly to your amp via the any compatible DAC. 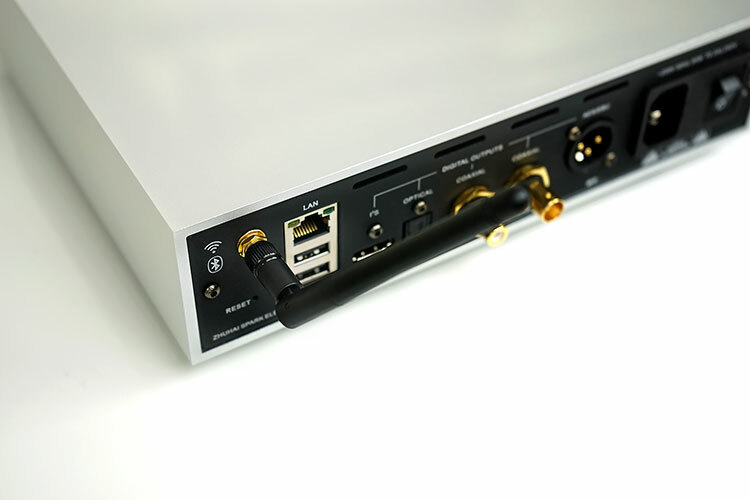 Bluetooth connectivity via a source such as a smartphone, tablet, PC or media server with Bluetooth capabilities allowing you to transmit audio via BT to the iDAP-6 and out to a DAC. Integration with HiBy Music’s HiByLink for remote control functionality and playback via Bluetooth using a duplex Bluetooth functionality. Network music streaming device either pulling from applications such as Samba, DLNA or AirPlay that use your home-based network design or something similar via your phone, tablet or PC. 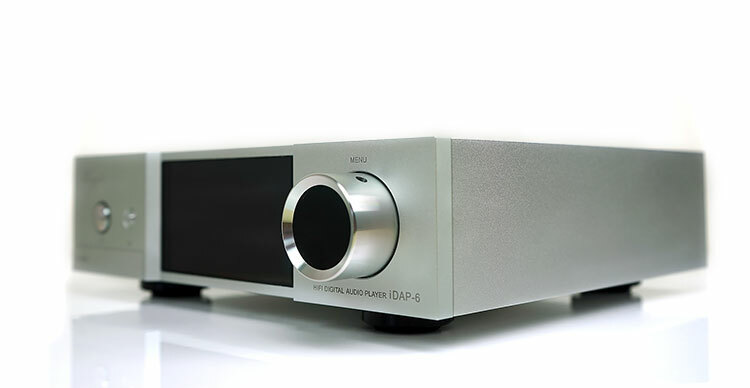 To all extent and purposes, the iDAP-6 has the exact same form factor and build quality as the iDAC-6 and iHA-6. This is very much a good thing. You will get the same high-quality solid edged aluminum chassis coated with a sandblasted finish. It also uses the same discreet screw locking system located rear and under-carriage. The only slight difference is the weight at 0.5kg lighter and the different array of inputs and outputs front and rear. All labeling for functionality is either etched into the metal chassis (front plate) or in clear white decals printed on the black back plates. I still can’t read the labels that clearly though from a certain angle in strong light. You almost have to be head-on before the suddenly appear clean and clear. Casting a shadow over them sometimes does help. The compact yet standardized form factor makes the iDAP-6 very stackable with the previous i-series units though I have had some discussion with Cayin on what exact order you want to stack it. My own personal opinion is at the very top of the stack for a number of reasons. All Cayin I-Series components have rubber feet for isolation and grip. The original feet seemed to be prone to a little heat duress especially anything touching the iDAC-6 which generated the most heat. Now one stacking methodology advised by Cayin is to place the iDAP-6 centrally to avoid the hot feet issue. However, the new iDAP-6 feet are made from harder materials and do not grip the aluminum unibody chassis of the other two units quite as well. This means it is prone to sliding a little. Numerous times when I have pushed in a button, particularly the menu function dial the whole iDAP-6 would move with the force of pushing with it. The shielding from the heat may have improved but the gripping capability has diminished as a result. My advice, therefore, would be to place the iDAP-6 at the top of the stack. It will still move but with less risk if something was placed above it. Second, it will also free up the BT antenna at the rear from getting tangled in wires if it was below the DAC unit. Once neatly stacked on top of each you also begin to see the continued harmonization of design, especially the LED panel and menu function selector/volume control. Cayin has upgraded the display on the iDAP-6 to a non-touch 3.5′ AMOLED color capable display. The iDAC-6 display is OLED with a much smaller trapezium-like dimension. The iDAC-6 display was also positioned at a 15-degree angle into the chassis for legibility purposes making it easier to read from wider angles. The iDAP-6 does not have the same tilting presentation angle but the superior display resolution and large screen format mean it does not need it. The viewing angles are much wider than the iDAC-6 with a comfortable legibility at around 45-50 degrees left or right and up to 70 degrees from above. The iDAP-6 has a very clean front panel with just 3 areas of input. The first is to the far left with a LED illuminated power button and a smaller aluminum button that primarily functions as a return or back in the menu system. The power button is slightly smaller than the iDAC-6 and iHA-6 button and requires much less physical pressure to turn on or off. The second set of inputs are 2 physical docks behind a flap on the bottom left. Both docks are designed to connect with physical storage devices to access and playback digital audio files. The first is an SD card slot and the second is a standard OTG capable USB-A female port. The final set of inputs are all hidden behind what you might think is a volume dial. Sure it matches the dials on the iDAC-6 and iHA-6 but that is far as it goes because the iDAP-6 dial operates purely as a menu navigation and selection tool. It works either through a stepped/menu item rotational selector for navigation or by pressing inwards for menu option confirms. The small return button on the far left completes the menu navigation by allowing you to return or back out of whatever sub-menu you are in. You have to remember that the iDAP-6 is not a DAC so it has no analog functionality since nothing is being converted. It operates purely in the digital domain and thus all rear panel outputs and inputs are for the purpose of transporting a digital signal to a DAC wired or otherwise. To the far left, you will see the threaded socket for the wireless antennae. This will boost signal capability and range for both BT and Wifi. Nestling beside are 3 wired sockets; 2 USB and 1 LAN. The USB sockets double up for both OTG storage drives as well as a more traditional USB connection to output digital audio to a USB-DAC. The LAN socket above is provided as an alternative to a wireless connection to your network. Centrally you have a wide range of consumer and professional digital output sockets. Pretty much every type is covered here with I2S, optical, coaxial as well as AES/EBU and BNC coaxial pro connections. The far right is your typical “kettle plug” 3-pin power connection and power/off switch. Cayin has thoughtfully supplied a spare fuse slide out tray between the socket and power switch. You do not always see that and it really does come in handy should you get a short fuse from power surges and the likes. 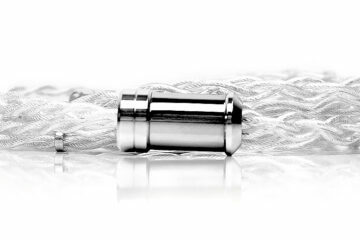 Cayin does not use cheaper switching power supply designs so that socket connects to an ultra-quiet linear regulated power supply which has an in-house toroidal transformer at its heart. Old school or physical controls are likely to be the first port of call on the iDAP-6 fresh out of the box simply because it might take a bit of time to get to grips with digital remote methods. Those familiar with HiBy music OS systems used on DAPs should get to grips with the physical controls on the iDAP-6. Everything on the SOC HiBy Music OS is physically controlled via two buttons, the smaller return or back button to the left and the main control rotary dial to the far left. You can drill down and laterally and return back out of all sub-menus to the home screen relatively easily. It is not as deep in its options as a HiBy powered DAP but that is understandable given the lack of DAC and amp features. Unlike Oppo, there is no dedicated app for controlling aspects of the transport and streaming services. Instead, you can use HiByLink for BT functionality. HiByLink has the most comprehensive control functionality out of all the apps tried for BT. You can also use AirPlay or a DLNA capable servers for Andriod and iOS functionality. Is the Cayin upsampling like the cambridge CNX? I am not sure as I don’t have a CNX to compare. Waiting for this so long! When it will be possible to order it from EBAY? I am unsure, you will need to email Cayin directly and ask them, maybe they can sell you it directly?